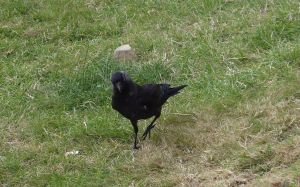 Observation - Jackdaw - UK and Ireland. Description: Not that commom in the North West Highlands, this was in Ullapool harvestly holiday makers fish suppers. Not that commom in the North West Highlands, this was in Ullapool harvestly holiday makers fish suppers.